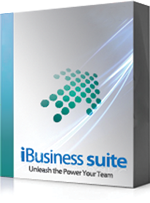 iBusiness Suite offer Sales force management module that that tracks end to end the sale process. Sales force management module of INI Technologies is a system that automatically records all the stages in a sales process. iBusiness suite sales force management focused on helping the Sales team to execute and manage the pre-sales process better and in an organized manner. The sales team is responsible for regularly capturing key customer interactions, any leads or opportunities. This module allows top-level management to track all the interactions that have been made between the company/executive and the customer. Effective sales force management is vital to the growth of the organization. It includes a contact management system which tracks the multiple levels of customer contacts like Administrative Contact, Technical Contact, Billing Contact, Decision Making Persons information etc. Sales force modules support customer Customer Segmentation and Account Management. You create customer segments like Top Corporate, SME, Individual etc. Customer Segmentation based on vertical In addition to segmentation based customer size it also allows to keep segmentation based on their business vertical such are Hospitality, Health Care, Education etc. Moreover, we can map customers to the respective account manager/executive for consistency focused account Management with accountability. login to the system and knows the status. Multi Currency: iBusiness suite ERP is envisaged for global business operations and it support multi currency, keeping one currency as base currency(eg: USD).So at each country the operations can be carried out in their local currency. Time management ― accurately measures the tasks and the fraction of the time needed for each task. Opportunity management― If the process is followed correctly then a sales opportunity exists. The fraction of Interaction management engine reps that use the tools, comply with the objective are all measured. Complete sales activities, see the detailed company and contact records and view communication history in one place so you can manage leads without the hassle. Approve genuine leads and automatically assign follow-up tasks to sales reps. iBusiness suite lets you track all the right information about your leads. When converting a single lead into a deal, factors like what actions need to be taken and when play a big role in closing. 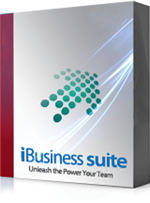 Through iBusiness suite sales, force management module sales person get all data regarding the lead. Based on that data salesperson can do proper follow up like calls and send a series of emails via drip campaigns to qualify them. A quotation is generated which if “order placed” gets converted into a sales order. The sales order then flow into the back end (ERP) system for further execution and delivery. This module allows top-level management to track all the interactions that have been made between the company/executive and the customer. Effective sales force management is vital to the growth of the organization. Access critical customer data including key contacts, communication history, and more — quickly and easily with iBusinesss. Multi Company Support -- It support handling for customers of multiple legal entities of same group and also facilitates keep prospect customer database. Portal Access support--It is powered with multiple channels for interaction such as a web portal based, Telephonic or Even an SMS based etc. Customer login to portal can track their interactions. Case History-- With the application you can get the complete case history of each customer issues like, Observation,action taken,complaint status against each complaint, pending work status etc.And also can identify frequent failure points. Communications Instruments-- Sales force module has a provision for multiple modes of communication like E- mail/Mail/IVR/SMS alerts etc. Trouble Ticket Numbering: Our solution will create unique ticket numbers for the complaints/trouble tickets.